VoIP is the answer to your business telephony problems, For companies which have not yet converted to VoIP, it is high time that they should. More and more businesses are opting for VoIP in today’s times because of its many uses. VoIP is becoming the backbone of business communication. It offers a variety of communication solutions; it is efficient as well as cost effective. Traditional phone lines that served the country for the past century is fading into history, new age digital communication is taking its place. Telecom VoIP has become number 1 telephone service in the US which is chosen by millions of customers over the traditional telephone system. According to a report ISDN market will extinct by the year 2025, as a large number of businesses are opting for VoIP. Let’s have a look at the reasons why VoIP is the best for your business. VoIP has a low cost of installation and the maintenance is negligible. You don’t need bulky equipment and you get all the features you love and many more. You can call from one part of the world to another at no additional cost. Isn’t it amazing that you can get international clients and don’t need to burn a hole in your pocket to maintain effective communication with them? One of the many amazing features that VoIP provides is the ease of mobility. With traditional phone service when you change your business from one city to another, it is very hard to retain the same number; also it is very costly to install new lines. But VoIP solves this issue as you can retain the same number without worrying about extra cost on phone lines and technicians. VoIP helps you to save on the bill by 3o percent. A company can utilize this money on infrastructure and core business activities. By switching to VoIP you get tons of other features which are beneficial for your business, like call transfer, placing a call on hold, merging calls, etc. With VoIP, you get the facility of sending a fax directly to email and vice versa. This way you can save on the cost of ink and paper and you get the ease of mobility as you can perform this task on the go, like traditional fax you don’t need to print every fax you receive, you can discard the spams. 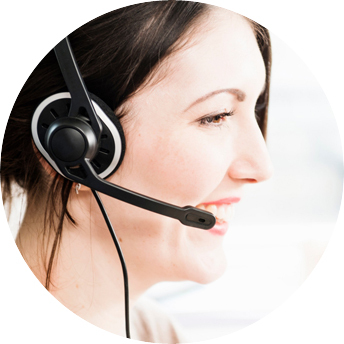 Choose top VoIP services to transform the communication needs of your business.